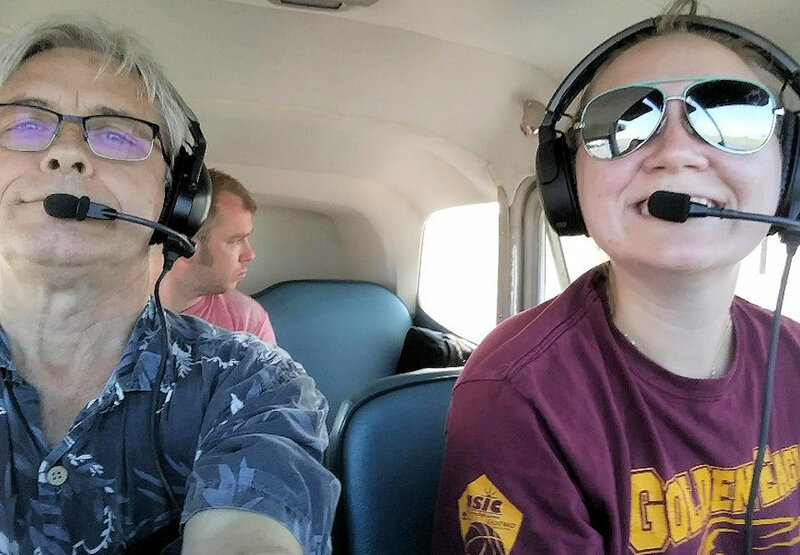 A high-flying experience at the controls of an airplane provides a new perspective on a family farm and The United Methodist Church. This has been an uplifting yet challenging year for me. At a recent gathering of clergy a colleague asked me how I was doing with my change of appointment. 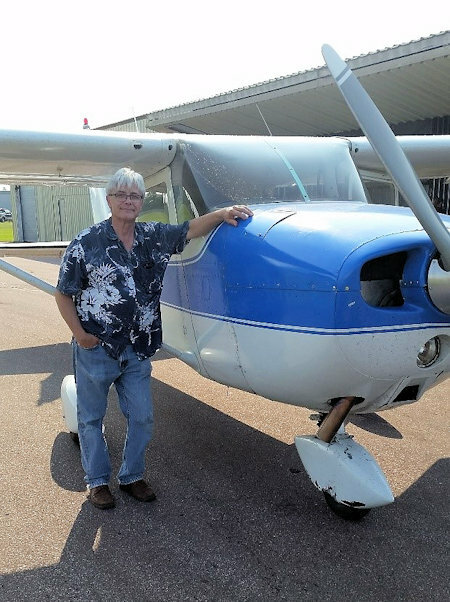 I pondered the question, then shared that it was something like adjusting from having flown at 10,000 feet for several years and quickly changing focus to the 10-foot level. What I had been caring for and focusing on from a distance was now directly in front of me every single day. Having looked at the forest in its vastness I now am looking at every individual tree. I am greatly enjoying my interaction with the clergy and local churches on the Mid-Michigan District, which requires me to have a distinctly different focus than when I was a Director of Connectional Ministries. It requires me to have a fresh perspective. As most of you know, my pastoral appointment changed on February 1st. I came back into the role of District Superintendent right in the midst of the appointive season with multiple changes taking place. Not only were some clergy preparing to go to other districts and some charges needing realignment, we were also in the midst of needing to create a new district and leadership team. There was little time to step back and gain that fresh perspective. By mid-summer I knew I needed something to help me do just that. I wanted to be ready and relevant in guiding and supporting the clergy and churches of the new district as we enter a new day for our conference and perhaps our denomination. Many have expressed their sense of uncertainty. My opportunity to see things in a new way came in the form of a gift from a young relative whose wedding I would be performing. She happens to be a pilot and flight instructor. 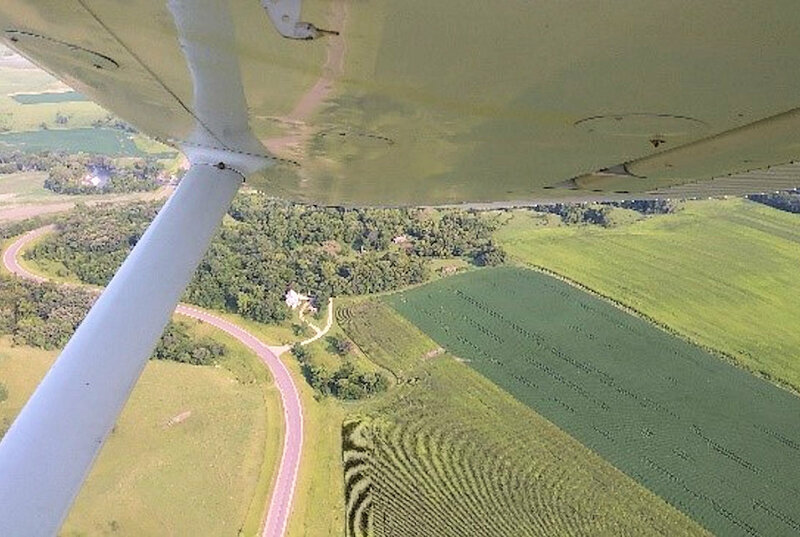 A few days before her wedding she looked at me with a smile and asked, “Are you ready to go up?” My middle son and I jumped into the car with our pilot and headed to the small local airport near our family farm in Minnesota. Within a few minutes we were pushing the airplane out of the hanger. I climbed into the co-pilot seat next to her and she gave me some basic instructions before we began taxiing down the runway. As soon as we were airborne and leveled out, she told me to take over the controls. It was exhilarating and joyful! I was uncertain of my capacity and skills to pilot the plane, yet I trusted the capacity and skills of my young pilot. Guided by her, I was able to fly over our small family farm, gaining a wonderful new perspective on that beautiful and familiar place. For much of my life I had only seen it from ground level, and thus had limited focus, but now I could see it in its entirety. Both perspectives are rich and wonderful, each offering their own unique gift. After flying over the countryside for nearly an hour, she had me circle back toward the airport. She was going to have me learn how to land the plane, but as I looked at the highline-electrical towers and the massive wind turbines nearby I suggested to her that I trusted her more than I did myself for returning to solid ground. I jokingly told her that it likely would not be appreciated if the preacher injured the bride before the wedding! I may not trust my own capacity and skills to fully guide the denomination through this storm cloud but I do trust that God is in Christ seeking to do so. I am only a fledgling copilot compared to the Christ whom I follow. Additionally, why would I deliberately try to crash the plane I am copiloting? Some of the comments I hear from a few clergy and laity across the denomination concern me deeply. It sounds like some want to crash-land the United Methodist Church, or at least some portions of it. That seems contradictory to the passage from Second Corinthians, where we have been given the role as ambassadors of reconciliation from Christ and for Christ. Some seem to be devising plans on how to parachute out if the plane does not agree to land on their designated runway. I intend to stay on board the plane in case I am called upon to copilot some small part of the way as we prepare to land. To help me keep perspective as we journey forward I pray: Almighty and everlasting God, grant that all the people of the Church, now divided, may be united under the glorious and gentle rule of Jesus Christ. Amen.